Good afternoon, ladies and gentlemen. Today I am very pleased to welcome to GEI, Mr. Frank Bisignano, Chief Operating Officer for JPMorgan Chase. Mr. Bisignano was also the chief administrative officer for Citigroup’s Corporate and Investment Bank, a senior executive vice president and Citigroup’s firm-wide deputy head of technology and operations. He held this post during the 9/11 crisis and is credited with creating and executing Citigroup’s successful business continuity plan, which involved relocating 16,000 employees displaced by the loss of 1.3 million square feet when the 7 World Trade Center building was destroyed. At Smith Barney, he helped lead and integrate the firm’s series of strategic acquisitions that led to the formation of Citigroup. Prior to his career at Citi, Mr. Bisignano worked at First Fidelity Bank from 1990-1994. During that company’s turnaround, he was an executive vice president overseeing technology and operations, and later served as chief consumer lending officer. As Chief Operating Officer for JP Morgan Chase, Mr. Bisignano’s responsibilities include overseeing global technology, real estate, operations, oversight and control, procurement, resiliency, security and safety, military and veterans affairs, and general services for all of JPMorgan Chase’s businesses in more than 60 countries. In addition to his COO role, from February 2011 to December 2012, Bisignano also served as CEO of Mortgage Banking for Chase. During his tenure, Chase’s Mortgage Banking business ranked No. 2 in originations and No. 3 in servicing, with 7.4 million mortgages representing a combined balance of $1.1 trillion. It also became the No. 1 large servicer and the highest rated large bank in mortgage originations as ranked by J.D. Power and Associates. Mr. Bisignano is well-known and respected for his outstanding qualities and exceptional leadership in the financial sector, as well as for his philanthropic efforts. 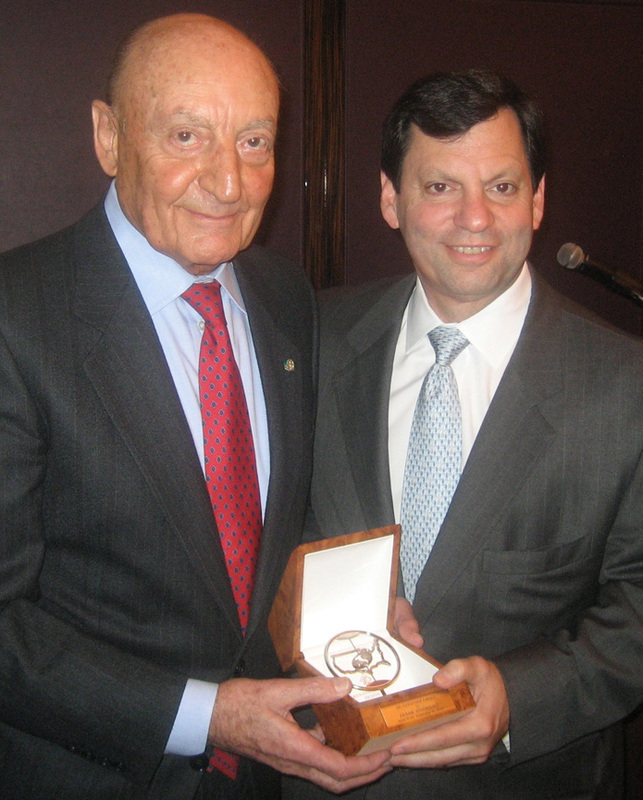 Therefore, I am pleased to welcome Mr. Frank Bisignano and present him on behalf of GEI with the “GEI FRIENDSHIP AWARD” for his many accomplishments in the financial sector and for his outstanding philanthropic activities. The luncheon was held on February 13, 2013 in the Stella Private Room of Le Cirque restaurant in New York City.